Mayor Thomas M. McDermott, Jr. is thrilled to announce that the Federal Emergency Management Agency (FEMA) granted flood insurance relief for additional residents in the Forest Avenue and Stateline Avenue sections in southwest Hammond. Residents will receive flood insurance relief on November 14, 2018 after FEMA approved the Letter of Map Revision prepared by the US Army Corps of Engineers in cooperation with the Little Calumet River Basin Development Commission and the City of Hammond. This means that the remaining 25 residential homes and their secondary structures, like garages, will be removed from the Special Flood Hazard Area. On May 4, 2018, 227 structures were removed from the Special Flood Hazard Area in the Robertsdale section of Hammond as a result of engineering studies proved structures were not at risk. In January 2012, Hammond received flood insurance relief to 1,700 structures also in Robertsdale as a result of a revised lake level elevation for Lake Michigan at Calumet Harbor. 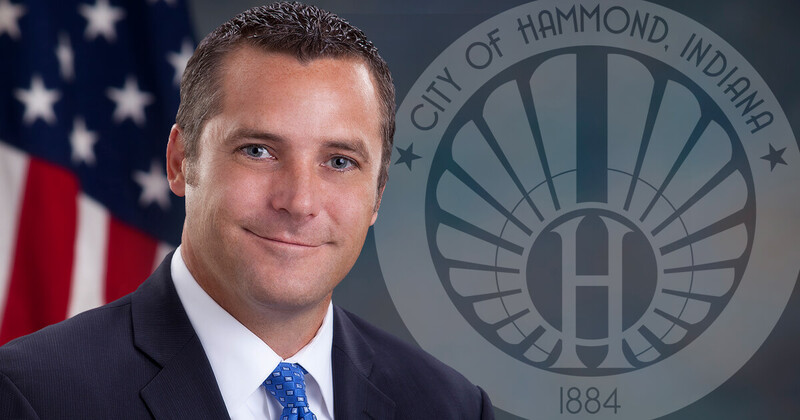 In all, Hammond has removed over 4,896 homes and 4,310 secondary structures during Mayor McDermott’s 15 years in office resulting in over $6.2M in savings to Hammond residents.